Press the Enter Key on your keyboard > type in your password > Press the Enter Key on your keyboard. Configure some of the settings Ubuntu uses when handling fonts. Screen Rendering: You can set how Ubuntu handles screen rendering of fonts: Native, Autohinter None. Subpixel Rendering: You can set how Ubuntu handles Subpixel Rendering: Automatic, Always or Never. 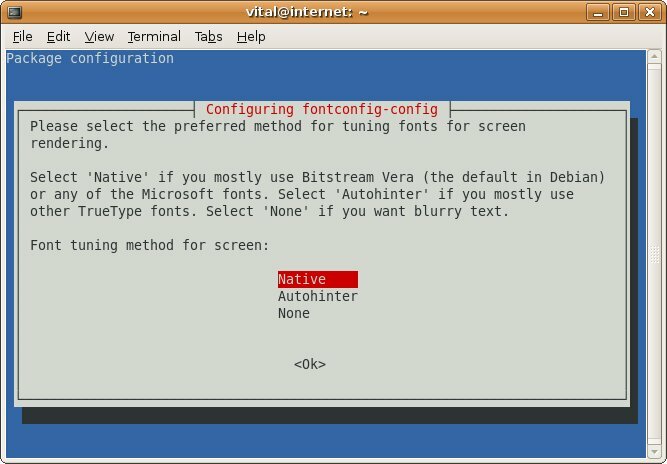 Enabling Bitmapped Fonts Or Outline Fonts: You can Enable Bitmapped Fonts or continue to use outline fonts in Ubuntu if you want to.